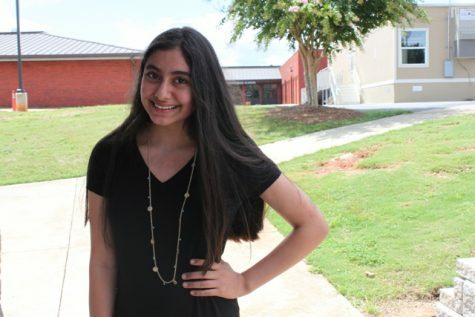 Kenya Espinoza is a freshman at North Forsyth High School. She enjoys reading, binge watching How To Get Away with Murder, and of course writing. When she's not doing one of the above she's hopping around the kitchen baking brownies and cakes. She loves re-reading Me before You and re-watching Mean Girls. Kenya hopes to one day become a successful novelist and photographer. She is a very friendly person, but if you smack your gum in front of her don't count on it. One thing that can be guaranteed is if you get her chocolate she will definitely love you.